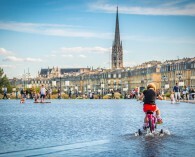 Your trip begins by a sightseeing bus tour in Bordeaux to know more about the development stages of this provincial capital and admire Bordeaux’s quays, a unique showcase of 18th century architecture, listed by the UNESCO in 2007. 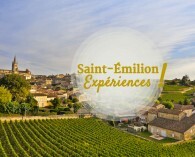 In the afternoon, after lunch in a wine estate, you’ll discover Saint-Émilion and the whole viticultural landscape listed by UNESCO in 1999 before wandering through the medieval city and the stunning monolithic church. A lunch shared with a wine-grower (and his wines) at his wine estate. One guided day trip to discover of 2 UNESCO sites. Meeting directly at the Tourist Office of Bordeaux. Meeting with the people starting the program in Saint-Émilion. 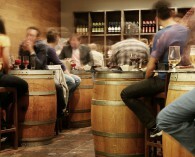 Visit of a wine estate followed by a “country lunch“. 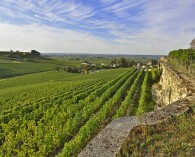 Discovery by bus of the vineyard of Saint-Émilion. 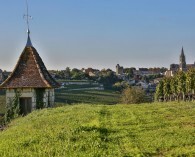 Historical visit of the medieval city of Saint-Émilion and of the underground monolithic church. End of the guided tour and free time in Saint-Émilion until departure for Bordeaux. Arrival scheduled around 7:00 pm. 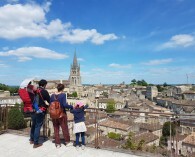 - The services of a bilingual guide from the Tourist Office of Saint-Émilion during the entire program as well as the transportation by bus. Bilingual French-English guidance on the entire program.